Oil Circulation System that we offer comes with all necessary instruments that are installed at appropriate location for proper measuring of pressure, temperature, level and flow related data. Enough redundancy is built inside the system so that it requires less maintenance. It is perfect for dusty areas as the system is fully enclosed. 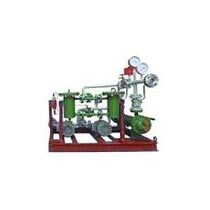 We can customize Oil Circulation System as per the requirements specified by the buyers.